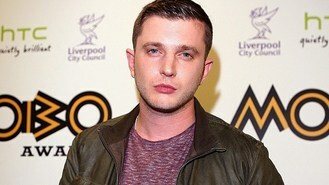 News - Plan B planning to take a break? Plan B planning to take a break? The British rapper - who has been in the spotlight for his chart-topping music and directing his feature film Ill Manors - said he needs to have a more normal existence in order to keep making music about real life, reported The Sun. The Love Goes Down singer said: "I want to take a year out from being photographed and going to shows." The star, real name Ben Drew, continued: "I'm living the dream I guess, a red carpet is rolled out everywhere I go. People treat me differently. "But the only way I can keep on making music about real life is to live in normality, and the last three years I haven't been. "It's been touring, awards shows and stuff that's great fun - but I'm an artist and I need inspiring. It'll be nice to get away from that celebrity circuit." The 29-year-old was a winner at the Mobos at the weekend, picking up Best Male and Best Hip Hop/Grime.